Income from any assets in India is taxable. Income from the money brought into India and lent on interest is taxable. Under the Income-tax Act, a person who is deputed on a foreign assignment by the Indian employer or is employed abroad or employed as crew on a ship may become non-resident Indian. In such case, the person may request his Indian Or Foreign employer to deposit the salary in his Non-resident (External) bank account ( NRE account). Such payroll of non-resident Indian is not taxable in India as the pay accrues to the place where the employment exercised. It does not matter even if the employer is an Indian. Question- Does the Salary Deposited in an Indian Bank Account become Chargeable to Tax in India as Salary was Received in India? 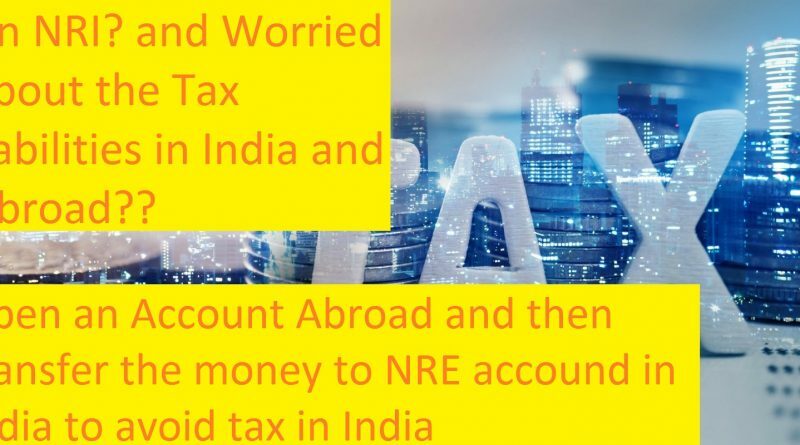 The explanation is that if the NRI has a bank account outside India and he has deposited his salary first to this account and later transfer to his Indian NRE account, both the accrual as well as the first receipt of the salary will be outside India and clearly it will not be chargeable to tax in India. Contradictory views: What if the salary is deposited for the first time in the NRE bank account? There are contradictory views on this between the Taxpayers and the Tax Department. Appellate Authorities in few cases gave the opinion that a non-resident who earns salary outside India is the controller of such pay and it is available to him outside India. It’s a salary receipt outside India. Hence, such a salary could not be taxed in India because it got deposited in the NRE bank account. Contrarily, there are decisions of the Income Tax Tribunal which holds that if the salary is deposited for the first time in the NRE bank account of the assessee in India, it is chargeable to tax in India. To avoid such contradictory views, The Central Board of direct taxes (CBDT) issued two circulars in April 2017. It was clarified that a non-resident seafarer salary accruing outside India would not be chargeable to tax in India merely because it is credited in the NRE account of such person. These circulars can also be relied upon in the cases of other non-residents earning a salary for services. To follow tax laws is not simple. People often caught in litigation. It is advisable for the NRI to open the bank account outside India and deposit the earnings in such bank account and then remit it to the NRE or the NRO account in India. This will avoid the controversy as mentioned above of whether the salary received for employment exercised outside India is chargeable to tax in India if it is credited to the NRE account.